FHA approved condos meet property eligibility requirements set by the US Department of Housing and Urban Development (HUD). Condominium associations must apply to have their condominium project (the condo complex) approved FHA. If the condo project meets the property requirements and is approved, it will be included on a master list maintained by the Federal Housing Administration (FHA), a division of HUD. There are several ways to buy a condo (conventional loans, VA loans, etc. ), but if you want to buy one using a FHA loan, it must be listed on the FHA Condominium Approval List. The FHA is responsible for evaluating and approving condominium projects. It also sets borrower eligibility guidelines for FHA loan applicants. Once the loan is made, they even insure it. All the pieces above (property eligibility, borrower eligibility and mortgage insurance) work together to create safe, affordable housing for millions of Americans. This article will provide details for these pieces and show you why each matters. 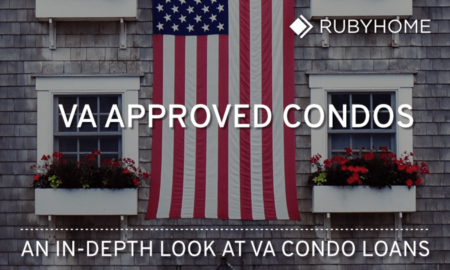 But first, you may want to know where to find a FHA approved condominium. Where Do I Find FHA Approved Condos? There are two easy ways to find a condos that meet FHA's requirements. You can contact a real estate agent who will search for you or you can use HUD's condo search tool on their web site. Real estate agents have access to their local multiple listing service (MLS). Within their local MLS, they can see what kind of loans can be used to purchase any listed property. If you know the general area or neighborhood where you want to buy a home, an agent can search, locate and create a list of FHA approved condos for you. It's very fast and easy. Most home buyers work with a real estate agent anyway, so this is a great starting point for many. HUD’s website also has an approved condo search form. It is a little clunky. But hey, it works. You can give it a whirl and see what you think. The Federal Housing Administration (FHA) insures mortgages issued by private lenders such as a mortgage company or credit union. The insurance gives lenders the confidence to offer better deals on loans. It's no more complicated than that; FHA runs an insurance pool. The government doesn't subsidize mortgage insurance with taxpayer money. Instead, insurance premiums are paid by borrowers, relative to the amount of equity in the home. Equity is the difference between the value of the home (appraisal or purchase price) and the loan amount. That’s why you hear the term loan-to-value (LTV). For example, a loan of $80,000 on a home worth $100,000 has a LTV of 80%. So borrowers who take out a FHA loan in an amount greater than 80% of the purchase price (greater than 80% LTV) must carry mortgage insurance. The premiums paid by borrowers contribute the FHA insurance pool. Said another way, when a borrower doesn’t put down at least 20% of the purchase price, mortgage insurance is required. HUD creates rules that define who and what can be insured by the FHA. HUD doesn’t want to approve buyers who are likely to default. They also don’t want to approve properties that are in disrepair or will not serve as good collateral. These rules are collectively known as borrower and property requirements. HUD rules protect lenders, borrowers and the integrity of the FHA insurance pool. 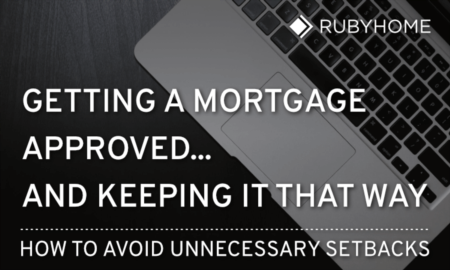 FHA underwriting standards are fairly flexible compared to other mortgage products. FHA requirements for borrowers include things like credit history as well as one's capacity to repay the loan. The property value also determined with an appraisal. Above and beyond the property value, condos have a long laundry list of property requirements. We'll start with borrower eligibility and then move our way to the property requirements. Borrowers don’t need a perfect credit score to get a FHA condominium loan. A FICO score of 580 is often quoted as the minimum FHA credit score. However, some lenders will go even lower (some say they'll go as low as 500). But citing minimum credit scores is less helpful, in my opinion, than sharing some mortgage insights from Ellie Mae. You should know that underwriters are going to blend many factors when making a loan approval decision, not just your credit score. The scores above are averages, not absolutes. Things like credit history, income, job stability and income also play a role in FHA loan approval. Don't be discouraged if your FICO is lower than the average FHA purchase approval above. Or for that matter, higher. The only way to know for sure if you're eligible for is to get in touch with a loan officer and pull your credit report and then look at the other factors. In fact, let’s dive into some of these other factors. It’s best for borrowers to show a reasonably steady job history, typically 2 years with the same company. Your monthly income will be used to figure what kind of monthly mortgage payments you can afford within the high and low loan limits provided above. The flip side of income? You guessed it: expenses. Your combined monthly debt payments (credit cards, student loans, car payments, etc.) will also help calculate how much you can afford. Comparing income to debt is called Debt-to-Income Ratio. A DTI ratio is a calculation that shows how much a borrower's gross monthly income is applied to servicing debts. FHA guidelines are pretty generous and will allow a DTI ratio of 31/43. Here's what those numbers mean. A maximum of 31% of of a borrower's gross monthly income should be used toward paying a monthly FHA mortgage payment. This is called a front end ratio. It excludes other debts. The maximum of 43% part? It refers to the percentage of gross monthly income that would be used to pay the FHA mortgage payment plus all other monthly recurring debt payments. This is called a back end ratio. The floor, or minimum loan amount is set at 65% of the conforming limit, in this case $294,515. The ceiling, or maximum loan amount is set at 150% of the conforming limit, in this case $679,650. The ceiling applies to high cost areas, mostly big cities, as would be the case when buying a condo in Los Angeles.You cannot take out an FHA loan for amounts lower the floor or higher the ceiling. You search loan limits by city or county using HUD’s lookup tool. The property condition and value, as determined by an appraisal, is also factored in the FHA loan process. The property serves as collateral for the loan so it’s a big part of the overall HUD guidelines that underwriters follow. Now let's look at the property requirements. Condos are handled a little different than other types of dwellings. What follows is a high-level overview for consumers and members of condominium associations who want to understand what separates condos from other types of dwellings like single family residences (at least through the eyes of HUD). Let’s start with a definition. A condominium project is a multi-unit property in which persons hold title to individual units and an undivided interest in Common Elements. Common Elements refer to certain areas of the condominium project and the underlying land and buildings. Basically this means anything that is shared, such as parking areas, landscaped areas, elevators, driveways, outside hallways and recreation rooms. Other Common Elements can be included as long as they are described in the condominium declaration. Common areas are typically managed by a condominium association. As you may have read above, FHA enforces HUD's property requirements. Theses rules apply to all units within a condominium project, not just one unit. In other words, it's all or nothing: either the whole condo project is approved along with all the units in it or none will be eligible. The condominium project must comply with local laws, not just FHA requirements. The project must be primarily residential. No more than 25% can be used for commercial purposes. There must be at least 2 units. Units can be detached, semi-detached, a row house, a walk-up, mid-rise, high-rise, including those with or without an elevator. It’s even OK for the units to be manufactured housing. No one entity (investor) can own more than 10% of all units. No more than 15% of total units can be late paying their HOA dues. It’s important that the owners are paying their dues on-time and in-full which as this indicates HOA stability. In fact, the HOA budget will be reviewed to ensure that 10% of the budget is applied to reserves and that there is adequate funding to pay insurance premiums. A maximum 50% of units in the association can be funded via FHA-insured loans. At least 35% of the units must be owner occupied, not rented out. If the condominium project is more than 20 units, it must carry employee dishonesty insurance coverage. Certain properties will not be approved by the FHA. There are quite a few of them. Here’s a top level view of the kinds of things that won’t fly with the FHA. Houseboat projects - which is a bummer because who doesn’t like houseboats? Projects that restrict the owner's ability to occupy the unit. Projects located in Coastal Barrier areas. Condo projects where the developer retains ownership of Common Elements. Live/work units with more than 25% of total space is nonresidential (commercial). Condotels which is a word that mashes up condos and hotels. Even if the units are individually owned, FHA will not insure projects that operate as a hotel or motel. Nor will they insure hotel or motel conversions. The status of a condominium project can be, 1) approved, 2) rejected, or 3) withdrawn (previously approved). Let’s say you’re a borrower interested in a unit within a condo project that is not currently approved. You want to know what it would take for the complex to get on FHA's approval list. Or maybe you sit on the board of a condominium association interested in receiving FHA approval for the project. There are two ways to get complexes HUD-certified. Project approval requests, annexations and recertification submissions are reviewed and approved by FHA staff. The condo association or management company submit a package to HUD. Usually, attorneys help put together the package. Takes 2 to 6 weeks to be approved (or denied). Approval lasts for 2 years. The condo association can re-certify every two years. Project approval requests, annexations and recertification submissions are reviewed and approved by qualified Direct Endorsement (DE) staff (lender). This means an FHA-approved lender can certify that the condominium project meets FHA/HUD guidelines. The lender guarantees every loan it makes within the project they've certified. Meaning, the lender on the hook for the loans. Not many banks want to take this responsibility (also known as risk). Hopefully, you've found this article a useful resource to get a better sense of FHA condos. The goal was threefold. One, to show people how to find an FHA-approved condo. Two, to help folks understand the basics of getting a FHA loan to finance their purchase. Three, to get a sense of the requirements that a condominium project must meet in order to satisfy HUD's guidelines.